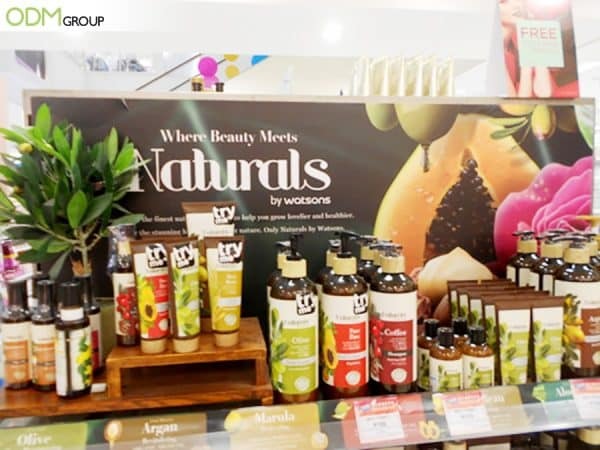 Naturals by Watsons‘ creative POS display design is truly captivating and effective. The overall design embodies what the brand message is and who the products are for. 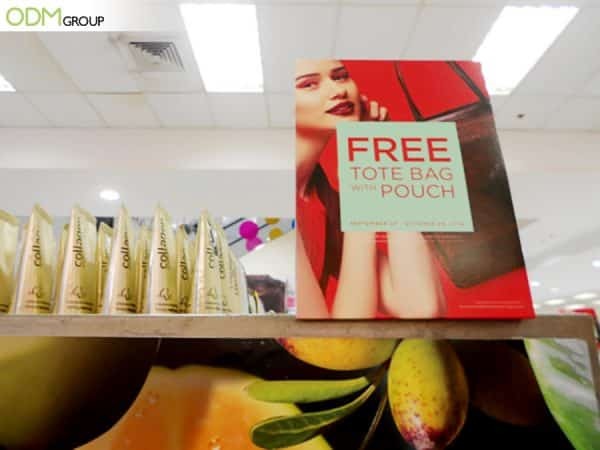 The said POS display unit was part of the brand’s ongoing promotions in the Philippines. This is a great example of a simple, yet impactful marketing campaign for beauty promotions. 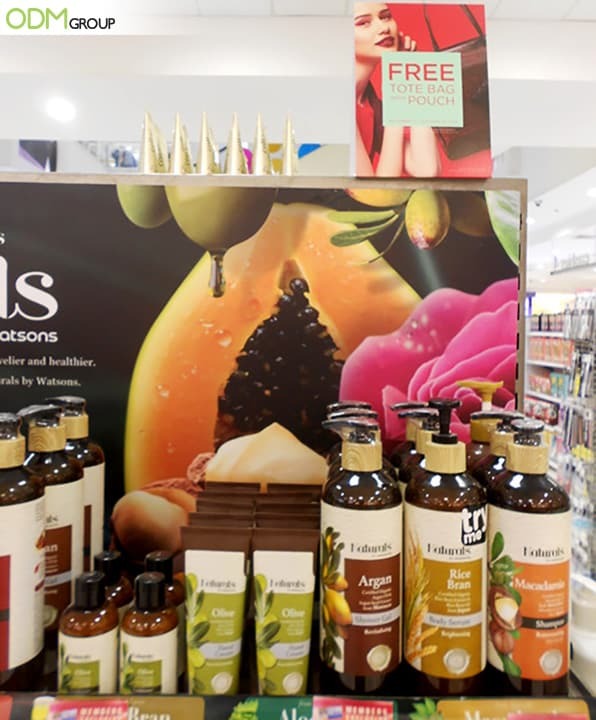 Why do We Love Watsons’ POS Display Design? Colors Pop: The colors used for the retail display are eye-catching. Since the theme is tropical, the use of dark green and earthy colors are ideal. Wooden Display: The brand also used a wooden POS counter display to showcase some of their best-selling products. The wooden display complemented the theme and highlighted the products on sale. Props: Watsons used plastic plant and colorful advert as backdrop. The props made the display look more alive. Use of Gift with Purchase Bag: The brand is giving away a promotional tote bag with pouch for every minimum purchase of 1700 Php. This a good addition to their concept as a gift with purchase helps in keeping customers interested in their promotions. Overall, Watsons’ POS design is truly effective in conveying their message and attracting their target market. We can see that all the elements -props, colors, designs, product arrangements- worked well to create an attention-grabbing POS display. How ODM Can Help With Your POS Display Design? We have product designers to help you come up with fresh new ideas for your projects. Feel free to get in touch with our Mindsparkz team for high quality POS display designs, promotional product and merchandise designs.Contact The ODM Group to learn more about services. For more POS display ideas, do check out the blogs below.